Do you see shapes and figures when you look up at the clouds? Then you’ll love our newest Creations DecoSets®. These trendy DecoSets® allow you to dream up endless cake possibilities to delight customers of all ages. And just like cloud formations, the iconic elements of each one leaves plenty of room for the imagination. With design flexibility and versatility, everyone on our team wanted in on the fun. So we shared this design assignment and took turns using these new Creations DecoSets®. Our Pet Creations DecoSet® gives you everything you need to create a menagerie of cute animal cakes. Real or imaginary creatures easily come to life through your creativity and the versatility of this set. Looking for smaller ears for a dog or cat? Just push the ears further into the cake. Looking to promote game day spirit? Create an animal mascot cake in team colors. You could even go color crazy and whip up a neon rainbow rabbit cake. 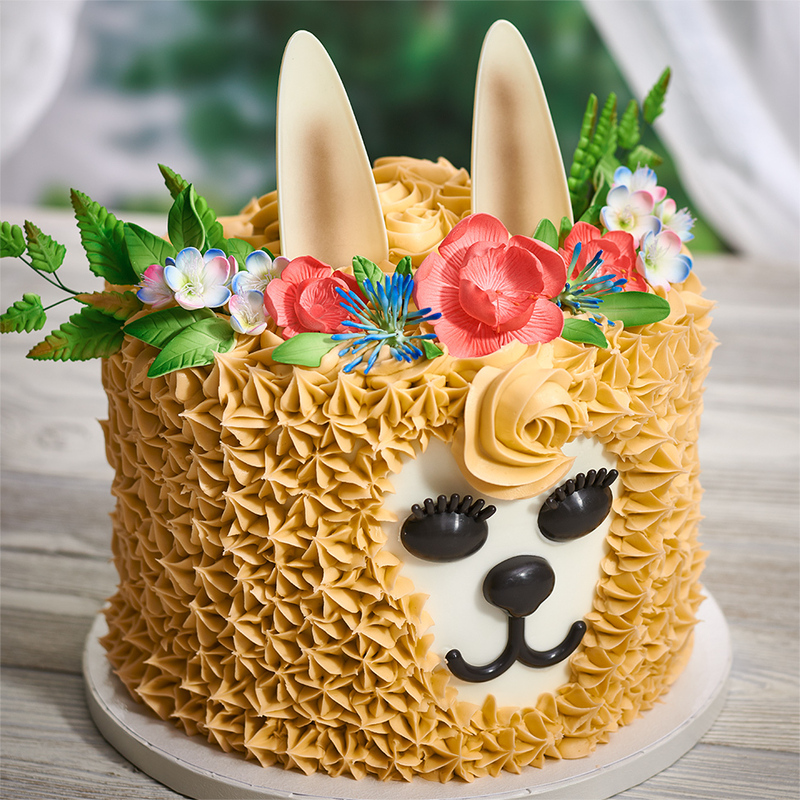 Inspired by the Coachella music festival, this Llama cake’s “fur” uses the Rosette Tip 1M and Closed Star Tip #845. The floral garland is made of Gum Paste Flowers and Ferns. 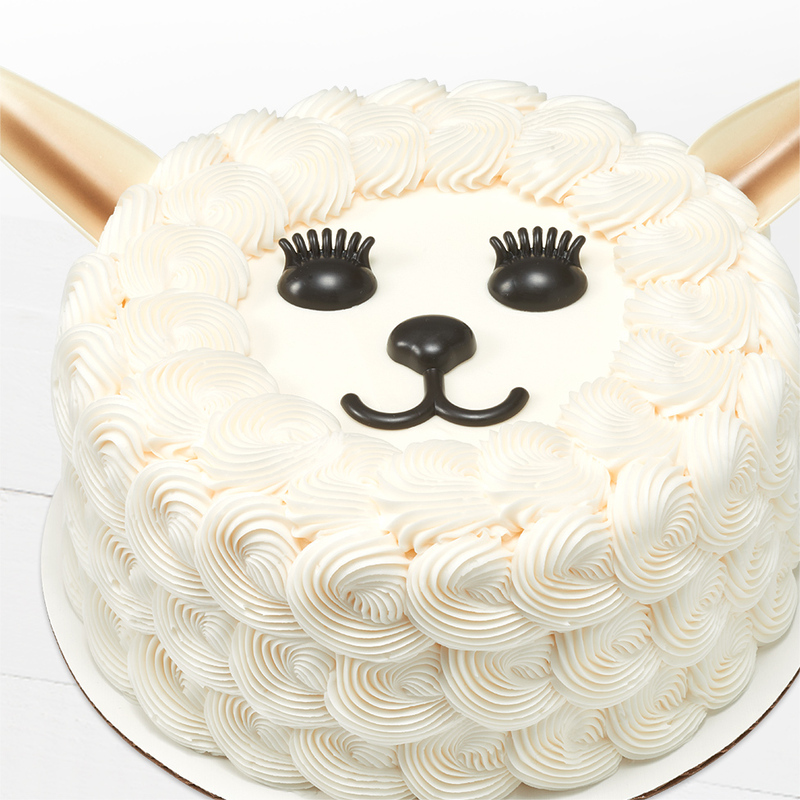 Perfect for spring, this sweet Lamb cake uses rosettes made with a French Pastry Tip #864 to recreate a curly lamb’s coat. Complete this look by attaching the ears to the cake side. The multi-sized rosettes of this fox cake are made with Tip #866. This tip was also used to create the foxtail that wraps around the cake. Complete the tail with small black and white bands to replicate the authenticity of the fox’s signature look. Shark-obsessed fans are everywhere. Dive in and meet the demand with our Shark Creations DecoSet®. 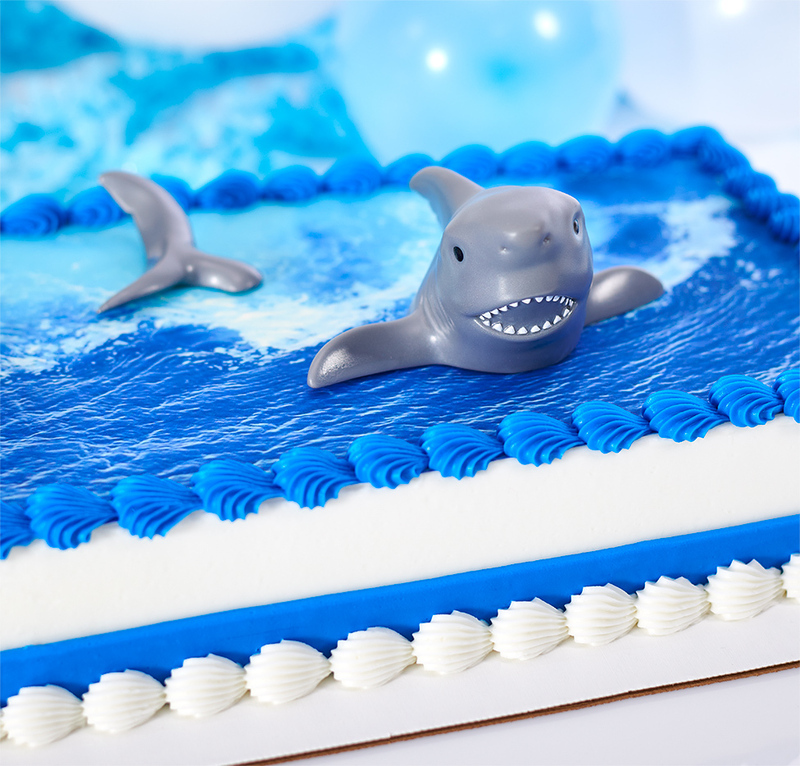 This quarter sheet cake offers a timesaving way to make a big splash: pair our Shark Creations DecoSet® with this PhotoCake® DecoSet® Background of realistic, churning waves. 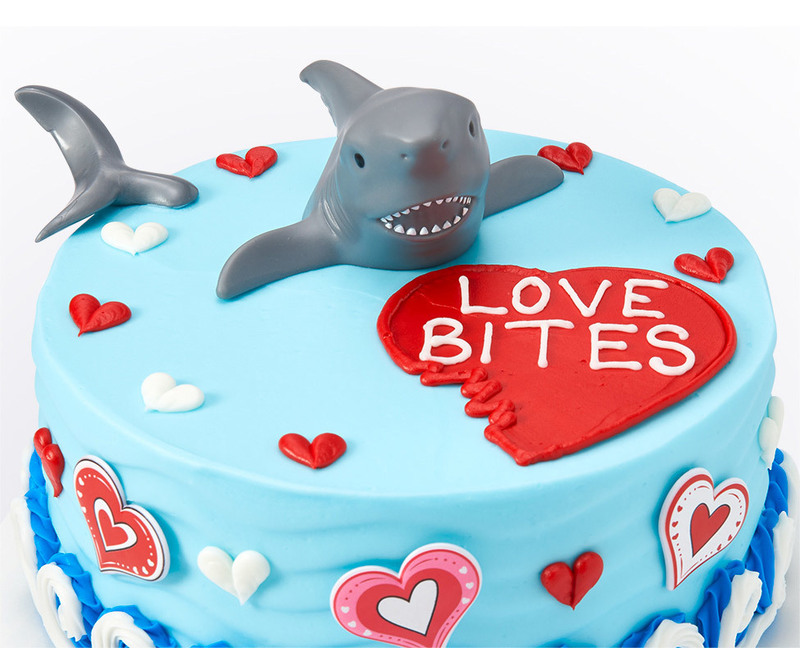 Here’s the perfect cake for a Pal-entine or post break-up treat. 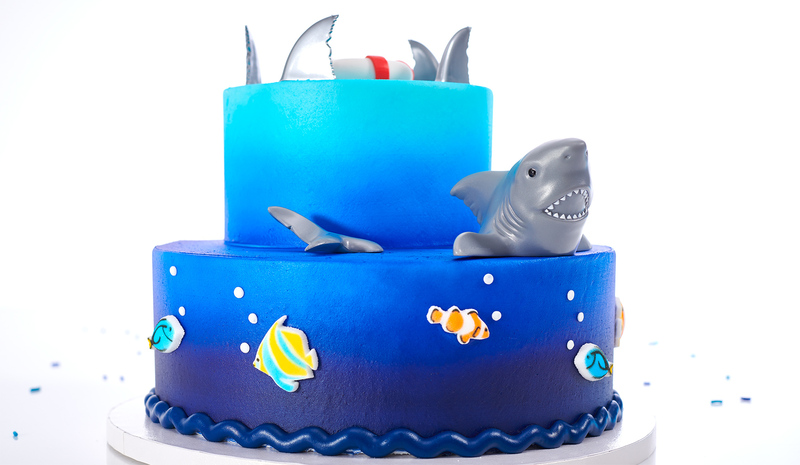 Ice the cake in light blue buttercream then run a Wave Tooth Decorating Comb around the side for dimension. Create the “broken” heart with a small round tip and smooth it out with a spatula before adding the love-spurned shark. Dot the cake with piped white and red hearts, add some Valentine’s Day cupcake rings to the side and create a two-toned wave style border using a Star Tip #22 and #18. This tiered cake features ombre airbrush in shades of blue to mirror the ocean’s depths. 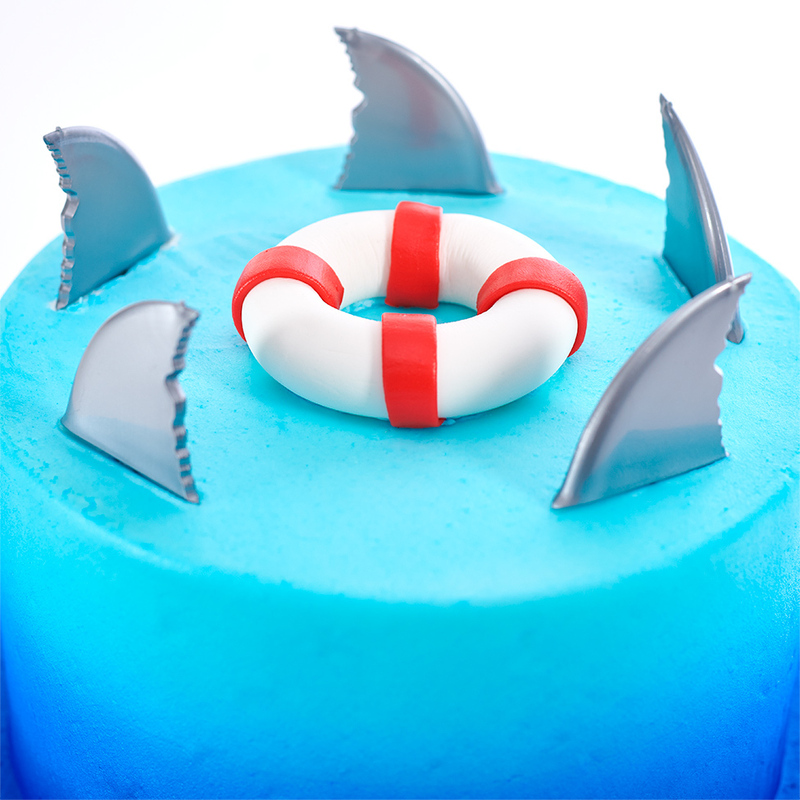 At the water’s surface Shark Fin DecoPics® circle a life preserver crafted with fondant while the shark lurks below. 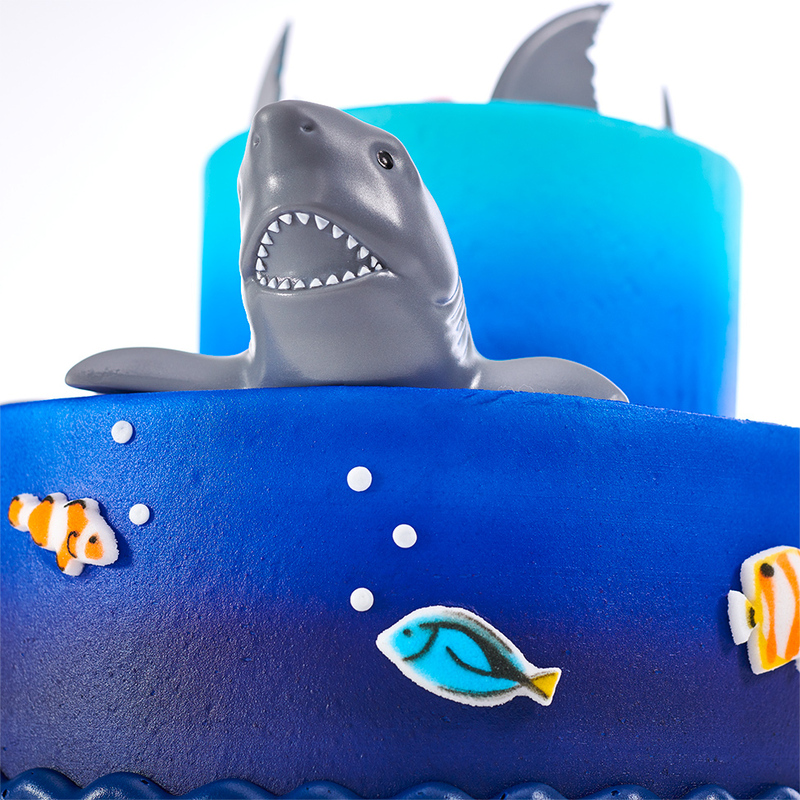 Reef Fish Dec-Ons® swim along the cake side releasing air bubbles made from piped icing. Our Dragon Creations DecoSet® captures the mythical fury of this menacing creature. Use it to unleash your decorating imagination in legendary ways. A fire-breathing dragon emerges from a stormy night sky in this quarter sheet cake. Set a moody tone with blue and purple airbrush and ominous buttercream clouds. Use the variegated bag technique to create the dragon’s signature flames. Tattoo-inspired piping covers one corner for extra intrigue and texture. 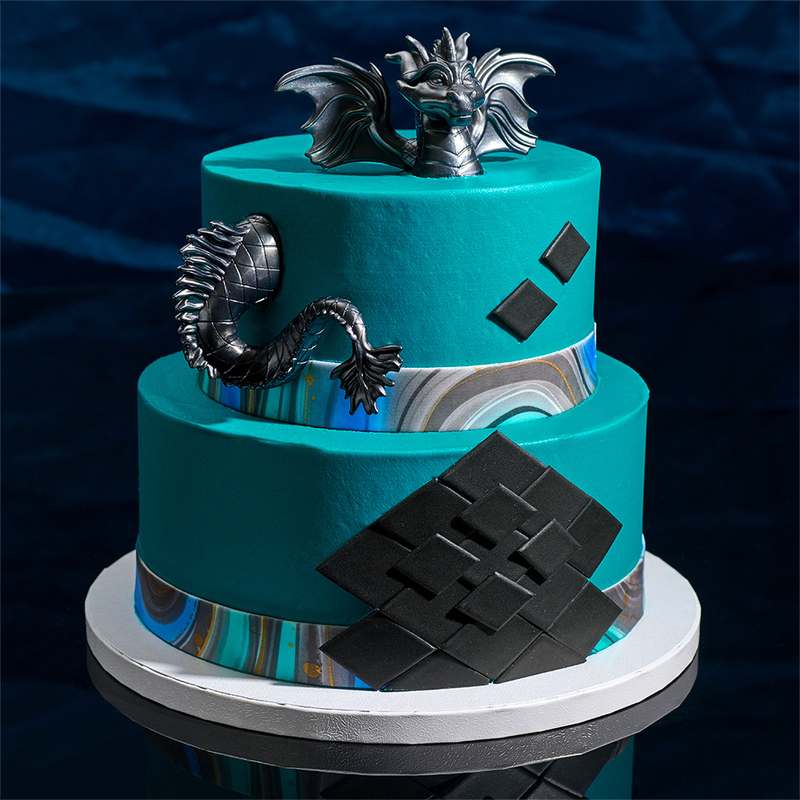 A dragon bursts through the middle of this Asian-inspired cake. 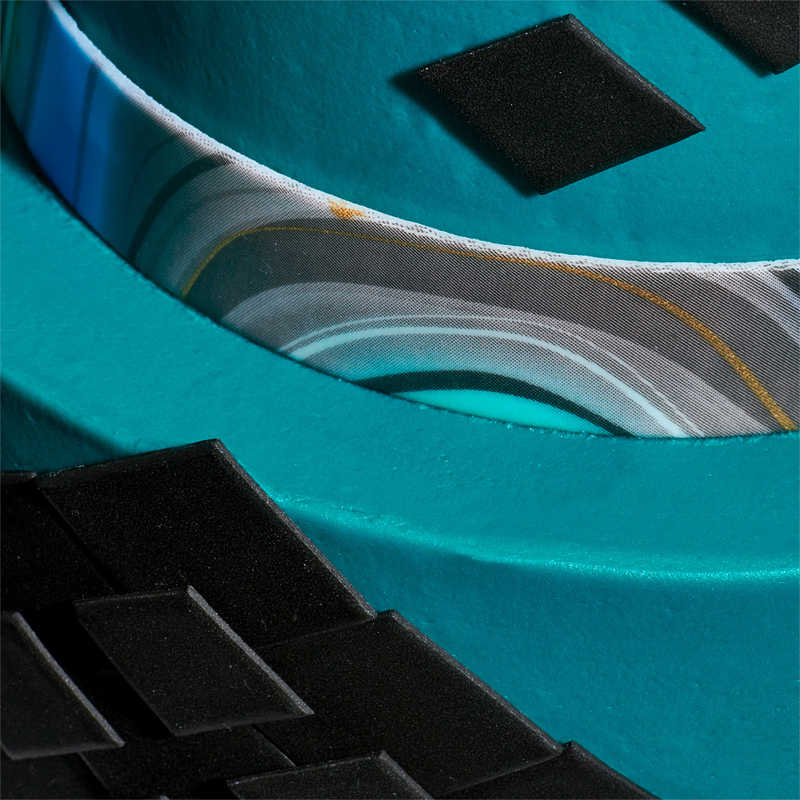 Iced in teal buttercream, it’s accented with geometric black DecoShapes® Diamonds and our new Marble DecoShapes® Strips. This sinister scene comes together in a snap by using a black stone-textured PhotoCake® DecoSet® Background for the Dragon Creations DecoSet®. Finish off the design with a piped black band and complementary top and bottom borders. From designer homes to upscale restaurants, the antler trend is hotter than ever. 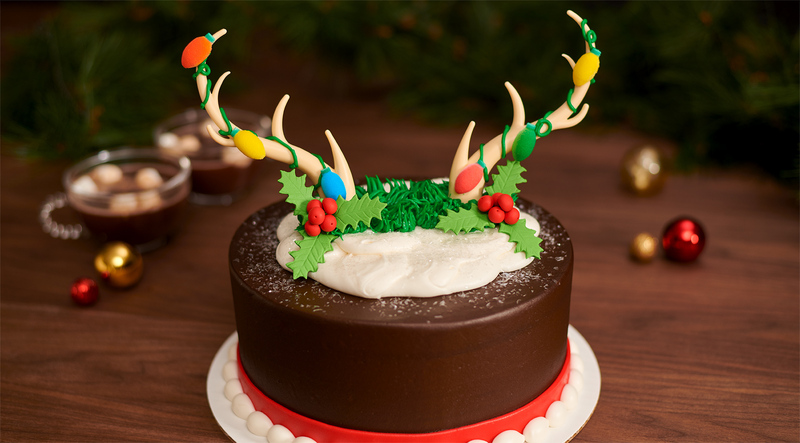 Take advantage of the big appeal by creating rustic, boho cakes with our Antlers Creations DecoSet®. Holiday spirit abounds when Christmas Light Dec-Ons® wrap around our Antlers Creations DecoSet®. Piped greenery and holly berries add festive flair, especially atop a mound of sparkling snow, made with an #807 Tip and a dash of edible glitter. 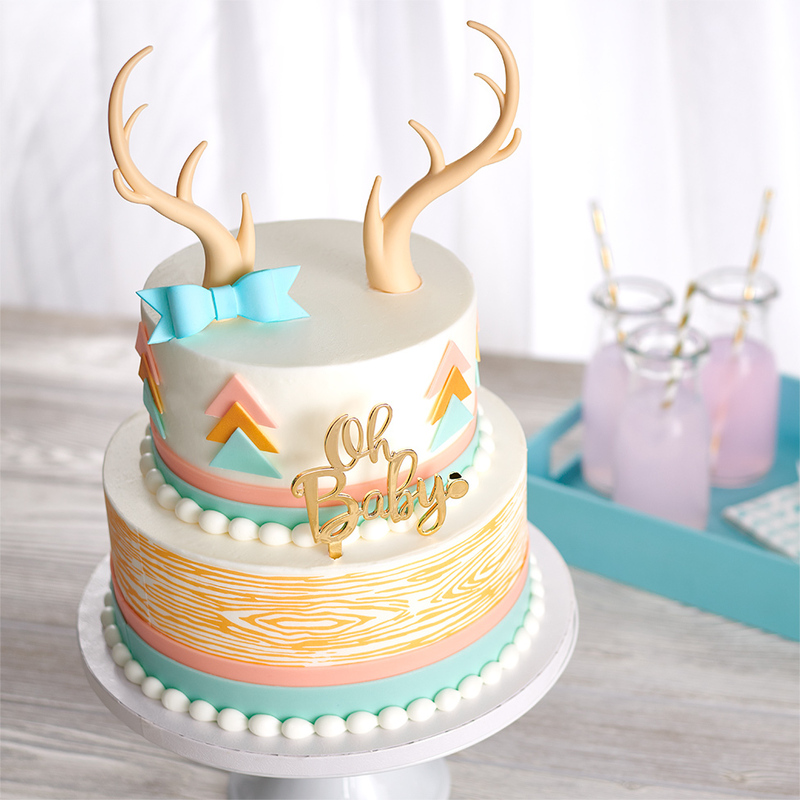 Sweet and stylish, this shabby chic baby cake features a Gold Wood Grain Edible Image, Pastel Contemporary Strips, and geometric trees made from Contemporary DecoShapes®. 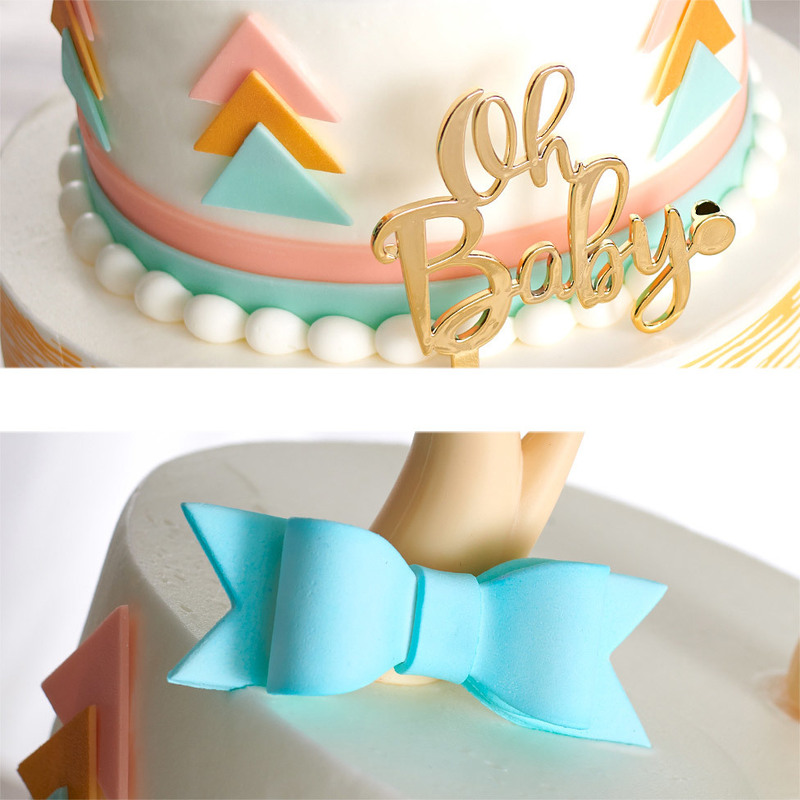 A Gum Paste Bow and Oh Baby Candle Holder add the final touches. Bag this easy design to celebrate a hunter’s birthday simply adding the Antlers Creations DecoSet® to a PhotoCake® DecoSet® Background. Create corresponding cupcakes with our Antler Rings. Checkout more Creations DecoSets® inspirations here.